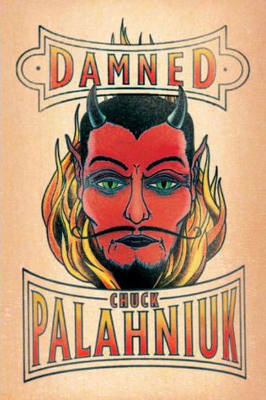 Although it seems like almost every Chuck Palahniuk novel is in development at various studios around Hollywood, Damned appears to have been forgotten. It’s his latest novel, and it's one of his better ones in recent memory. After a 13-year-old girl named Madison is sent to Hell after dying of an apparent marijuana overdose, she is forced to spend eternity with a group of diverse Hell-mates that are inspired by the characters from The Breakfast Club. There is plenty of insensitivity and mean-spiritedness here, and, to be honest, we wouldn’t have it any other way. Hollywood would have to leave its morals at the door when adapting this novel, but if a studio does decide to dive in, it would have a surprisingly fresh idea on its hands. With most movies nowadays designed to sell toys and Slurpee cups, an adaptation of Damned could be the kick to the crotch that the film industry so desperately needs.